HEARTBEAT error on Gunbot – How to fix it? 1- HEARTBEAT error can also be caused by a bad config.js file. Even a missing “,” can cause the error. One of the most commons errors is to add pairs with an incorrect format. Note that a Bittrex pair should be like this: BTC-ETH and a Poloniex pair should look like this: BTC_ETH. If you add “BTC-ETH” for Poloniex, you will get HEARTBEAT error. Note that each exchange has its own proper format. b) Connection to the exchange. So, if we are using Bittrex, we can try to change period from 15 to 5, save the file and try again. 3- Be sure your firewall, antivirus or router is not blocking the connection. Allow all incoming and outgoing connections to your exchange’s IP. 4- Be sure your API has all the required permissions, except withdrawal permission, as always. 5- Be sure your API key is not broken. It can happen we connect from 2 computers at the same time or when we connect from 2 different computers that have different time zone. 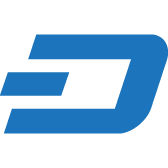 6- Be sure your has deposited BTC (or whatever coin you user as base coin). If your BTC wallet is not createn, you will get this error. 7- Note that it’s normal to get HEARTBEAT error from time to time on Poloniex. On older versions we got the message “Empty response for server”, now we receive HEARTBEAT, and in this case, it’s not something we should worry about. 8- Be sure your api key exist, you don’t have removed it and it correctly added. Note that even an extra character or a missing character from the Api key or secret is enought to get this error. 9- Be sure your IP is not banned from the exchange. For example, IPs from Mexico are banned from Poloniex and the only way to work with Poloniex for them is to use a VPS. Maybe your IP has been banned for any reason. 10- If you are trading with USDT as base coin, be sure your bought the other coin using USDT, so the bot has a reference price. Other option is to Override BOUGHT_PRICE. Whatever you do, be sure the bot has a reference bought price. 11- Try changing OKKIES_MODE to false. This is a recently added parameter and in some cases it causes HEARTBEAT error. Yup that fixed it. However there seems to be a “memory leak” after it runs for a few minutes my computer slows to a crawl. Hi Alastair, I’m glad you fixed it. I will give you a tip: Nowdays Firefox and Chrome are crap, I mean, when you open a lot of pages with any of them, or when you open a page that handles a lot of info, you will see that the memory usage and cpu usage skyrockets, especially after some time. What to do to avoid the computer slowing down? Click RUN from GUI Dashboard and then click STOP. So, the config file has been saved. Ok, now you can just execute gunthy.exe and run the bot directly from exe file. Hope this helps. I believe it’s the latest version because I just bought it last 11/11/2017. The gold pack edition. Hi Marco, if you purchased Gold pack, you have Premium support, that is, send us your telegram alias to [email protected] and I will add your to our Premium support group and I will help you to fix it. Did all these things but still no luck. Please help. I’m on the latest version and it’s installed on a Vultr VPS if that helps any. Just bought a couple of days ago and really eager to get going. First of all, be sure your vps is not blocking the connection, there are very restrictive vps out there. You can take a look at https:://gunbot.shop/faq/ point 8. I recommend you routerhosting, it’s cheap and Gunbot works fine there. Also note that I have added 2 more possible fixes to this error. If everything else fails, contact your reseller and ask him to change your Api Key. I have seen many cases in which the a broken Api Key is causing the problem. Getting the same message. I tried the host file with no luck. I downloaded the latest version today. I have resolved my own issue. I was using the wrong API secret key. It is working fine now. Nice, I’m glad you fixed it. As I said before, this is a complicated issue because it can be caused by many things. On previous versions we had a specific error for each problem and it was much easier to find the root cause. In my case I have followed each of the points described above and I continue with the heartbeat error, I have already changed the APIKey, I have Contabo VPS, etc. What can I do to correct this, I’m really frustrated because I tried and it just does not work. Hi Alvaro, do you get HEARTBEAT error since the beginning or only after some time running Gunbot? 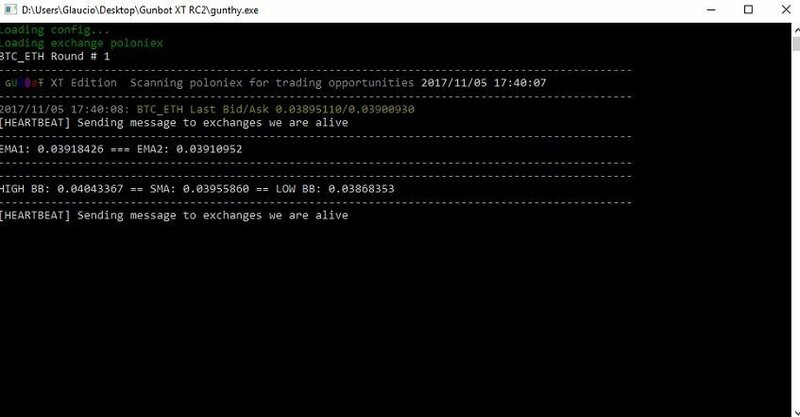 On what exchange are you running Gunbot? Do you get it constantly or only from time to time? nothing else happens. Weight is made according to the instructions above. https://gunbot.shop/product/premium-support/ you can contact me and I will help you to fix it. If it’s not your case, you can try to contact your reseller and he should be able to help you.